MUMBAI: Known for creating good music, Varun Ahuja’s brand new single, Alvida, marks the comeback of 90’s music sensation Lucky Ali. “Whenever there is a collaboration happening, it should be progressive and innovative. You have to feel connected to the artist you are working with. The moment that connection ignites, things get spontaneous and very creative, that’s how this song progressed too. Also, that's exactly how I felt collaborating with Lucky Ali for the song,” shared Varun Ahuja. “It’s a rock song and it’s very different from the usual sound you will hear. It’s a very raw and organic sound,” he further added. “When I picked up the guitar and played in my studio and Lucky sang, his voice blended magically. 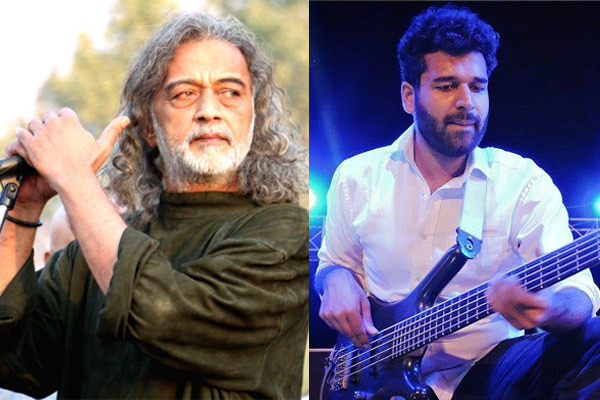 Lucky Ali’s comeback through this song ignites a different kind of a sound from what we hear today,” added Varun Ahuja. The 28-year-old musician is known for having performed at over 2000 concerts apart from his independent compositions. MUMBAI: Shibani Kashyap, who is known for singing songs that have a social message, is gearing for her next single, which is on Enochlophobia (fear of crowds). Shibani Kashyap to release 'Chandini Raatein', says indie music scene is coming back with bang! MUMBAI: Shibani Kashyap, who recently performed at the Worli Festival 5.0 in Mumbai, showcased a glimpse of her recreated version of Chandini Raatein, which will be releasing soon. MUMBAI: Worli Festival 5.0 was recent grandeur that had some fabulous performances at the Worli Seaface. MUMBAI: Among the various known and unknown faces that performed recently at The Worli Festival 5.0, a nineteen-year-old pianist, Ronojit swayed the audience with his western-classical mix tune – a combination rarely found. MUMBAI: The Dual Core, one of the very famous hip-hop duo recently performed at the Worli Festival which took place on 26-27 January at the Worli Sea Face Prominent.